Blood clot. 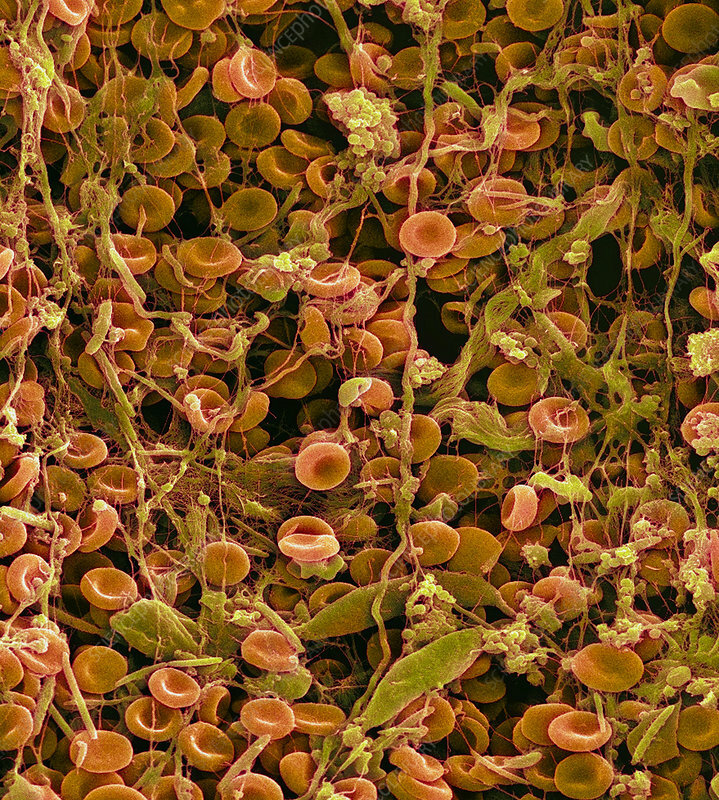 Coloured scanning electron micrograph (SEM) of a blood clot in connective tissue. Connective tissue supports or binds specialized tissues and organs of the body. Red blood cells (erythrocytes, orange) are seen trapped in filaments of fibrin protein (brown). Blood clotting is the solidification of blood that occurs when blood vessels are damaged. This damage activates blood cells called platelets, which in turn help to stimulate the formation of fibrin filaments at the site of injury. These filaments enmesh platelets, and red & white blood cells, contracting around them to form a solid clot.